Side A: DELERUE Qu'en dis-tu, petite? Handmade extra safe packing / Approximate quantities, the weight of items can vary. DHL Shipping Fees from Argentina - Traceable during all journey by Internet. Approximate quantities and prices. weight of items can vary. Includes an special very safe wood box. Very light defects, detail are indicated. Light defects, detail are indicated. 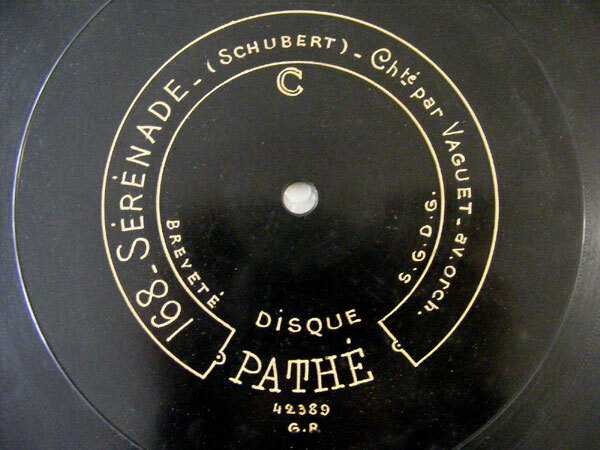 Click the button below to add the ALBERT VAGUET Pathe Etched 97/168 78rpm QU'EN DIS-TU PE to your wish list.